Choosing Between Cats and Dogs? Assess Your Surroundings and Choose Wisely. Cats versus dogs: It’s right up there with religion and politics in any list of the world’s most divisive discussion topics. We are (wisely) not going to get into the which-pet-is-smarter-or-cuter debate, but the choice between felines and canines is a real issue for many people. The size of a home, the presence of children, and the amount of time available to romp with a pet indoors and outside all play a factor in selecting the perfect four-legged companion — on top of basic questions of attraction. A small apartment may be fine for a cat, but dogs — even smaller breeds — need plenty of room. And dogs require a lot of outdoor exercise, too: Frequent long walks and runs are essential for a dog’s physical and mental health. A home with a fenced-in yard is ideal, and a nearby park that allows dogs is a fine alternative. But owners must commit to taking dogs out for a walk at least twice per day. Animal-care professionals recommend that you avoid bringing kittens or puppies into a home where there are small children. Instead, choose older cats or medium-sized dogs at least five months old. Apartment and condominium dwellers face limitations as well: You may need clearance from a landlord or property-owners’ association before you bring home a new cat or dog. Bay Area humane societies and chapters of the American Society for the Prevention of Cruelty to Animals (ASPCA) are thrilled to place cats and dogs in caring homes, but be prepared for a rigorous interview before you take a pet home. Some adoptions require attendance at training classes, and agencies may require all household members to meet the new dog or cat prior to adoption. Home visits may also be required. Contrary to popular belief, many cats love attention and social interaction. A cat is not simply a pet an owner can feed, house, and forget about. Cats need and want attention and companionship from their owners. Cats can live a long time. A cat’s life expectancy varies depending on the breed, but veterinarians advise prospective owners that indoor cats will likely live 15 years and could very well live 20 years or longer. Declawing involves removing the first knuckle of each toe and is extremely painful to cats. Many products, including scratching posts, are effective at keeping cats from clawing at the furniture. 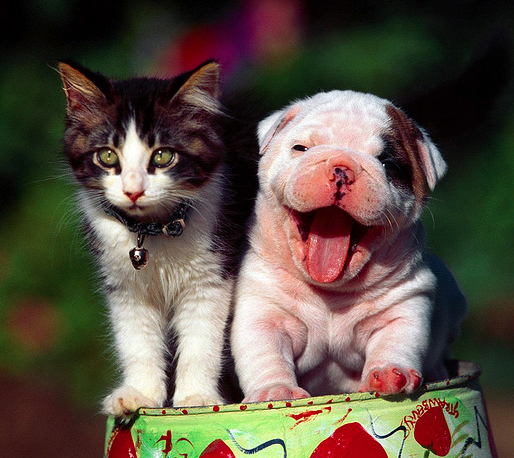 Dogs differ greatly depending on the breed. Before choosing a specific type of dog, read up on the various breeds, including their behavioral patterns, and choose one you’re most compatible with. Many people mistakenly assume the local shelter specializes only in mutts. However, the Humane Society of the United States estimates that 25 percent of dogs in shelters are purebred. There are also nonprofit organizations that rescue particular breeds, including English bulldogs and greyhounds, to name just two. A dog that does not receive enough attention and/or affection from its owner will suffer both physically and emotionally. Don’t adopt a dog if you don’t have the time or desire to spend time with the animal and cannot provide it with a loving home.